#100086 New Start-Up Kit: Basic Necessities for a New Taxi: includes Meter, Toplight, and Installation Directions. 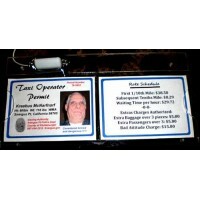 You'll receive a New Taxi Meter, full factory warranty, programmed with your specified Rates, a New Toplight Sign, With your Company Name, Phone Number, or just "TAXI" as you wish, and complete installation instructions custom written for your exact make, model and year vehicle and your exact meter choice. Prices vary with your choice of equipment. 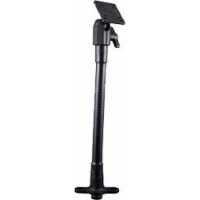 Several Meters are available, two choices of toplight types (both magnetic and screw-down permanent mount), and Step-by-Step installation directions, individually written to your exact job, vehicle and meter . Every vehicle is different, and each job is considered and adjusted to fit your needs. Note: If your meter has a built-in or attached printer, we will need to tell the receipt what your company name and so forth are going to be; Give us your company name and number (as published), and any slogan or catch-phrases you use, such as "smoke free cab" or "serving greater Dunwacky County" -- and we will use these to program your receipts. Two lines at the top of the receipt, and two at the bottom, each line has 16 characters maximum, except when using the S700 meter, which will have 24 characters per line! 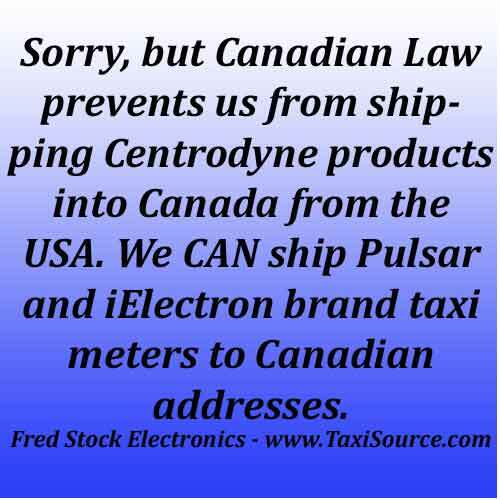 FOR CENTRODYNE METER INSTALLATIONS, YOU WILL NEED A TOPLIGHT CONTROL RELAY if you intend to switch the toplight on or off when you HIRE the taximeter. 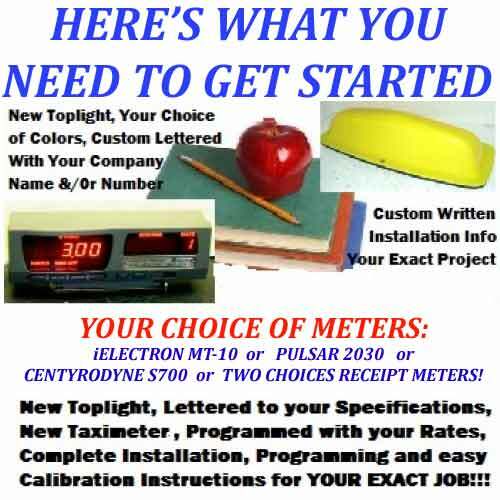 FOR iELECTRON METER INSTALLATIONS. YOU WILL NEED A TOPLIGHT CONTROL RELAY if you intend to switch the toplight on or off when you HIRE the taximeter. FOR PULSAR METER INSTALLATIONS, The PULSAR company includes a control relay free in the 2030 and 2030R cable kit, so DO NOT SELECT "relay" if you are using the PULSAR meters.- answer "NO". FOR MANY LATE MODEL CARS, YOU WILL NEED A PULSE DIVIDER to interpret the pulse signal for the meter. This is generally NOT so for cars before 2006 or 2007, and it is generally NOT needed with the Centrodyne S700 Meter which can accept very high pulse counts.There are exceptions. E-Mail me if you are not sure. Centrodyne meter DO NOT include a pulse divider. Again, The PULSAR company already includes the pulse divider free in the box with their meter, so for PULSAR meters, DO NOT SELECT the pulse divider option - answer NO. iElectron MT-10 has a built-in Pulse Divider so you should NOT order one when you buy MT-10. You already get it free. DO NOT SELECT the pulse divider option - answer NO. 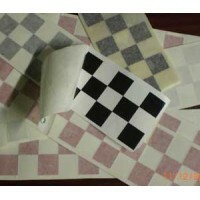 #100057 "Checkers Only" is a unique product which applies to your cab in the same way a..
#100060 12-inch Flex Mount, flexible post mount devices, for mounting where dashboard space is..
#100156 Dual License Card Holder - Miami Style driver's license and rate display -..